Education Stakeholders in the Federal Capital Territory (FCT) have been urged to actively participate in the monitoring of Universal Basic Education (UBE) projects. 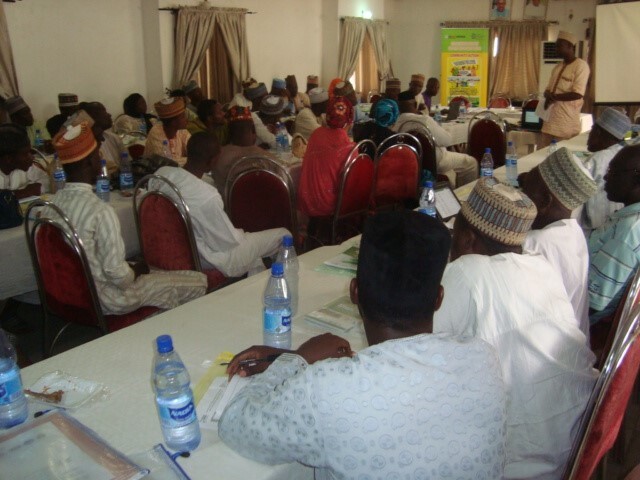 The Accountability in Basic Education Cluster led by Human Development Initiatives (HDI) made this call during a two-day Sensitization Program attended by participants drawn from Civil Society Organisations, School Based Management Committees (SBMCs), Parents Teacher Associations (PTAs), Community Development Associations (CDAs), Traditional Institutions and the media, on the Contents of Year 2014 and 2015 FCT UBEB Action Plans on 25th & 26th September, 2017 in Abuja. The participants likewise appealed to FCT UBEB to ensure adequate representation of civil society groups in the development and implementation of its Action Plans. The forum also urged UBEB to disclose and publicize relevant information such as Action Plans, technical and financial reports, bill of quantities of projects to enhance citizens’ participation in governance of basic education, and as well accommodate the needs of people living with disabilities by constructing facilities that are conducive and disability-friendly. HDI also organized a 2-Day Training on the 27th and 28th September, 2017 in Abuja for selected representatives of civil society groups from Lagos, Kano, Enugu and FCT, aimed at enhancing their skills on advocacy and policy engagement, as well as budget tracking with regards to monitoring the utilization of Federal Government UBE matching grants by Lagos, Kano and Enugu State Universal Basic Education Boards, and FCT UBEB. The monitoring and evaluation (M&E) tools designed for tracking new construction projects, renovation/rehabilitation work, furniture items/equipment and fencing projects initially reviewed by participants during the sensitization program on the contents of SUBEBs/UBEB Action Plans across project states were validated by the participants during the training and expected to be operationalized.